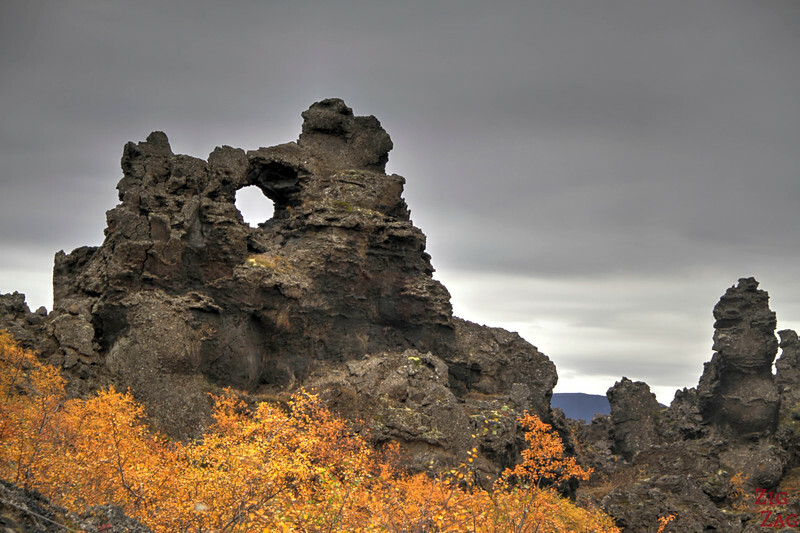 Dimmuborgir Iceland is a surprising area near Lake Myvatn in the North of the island. 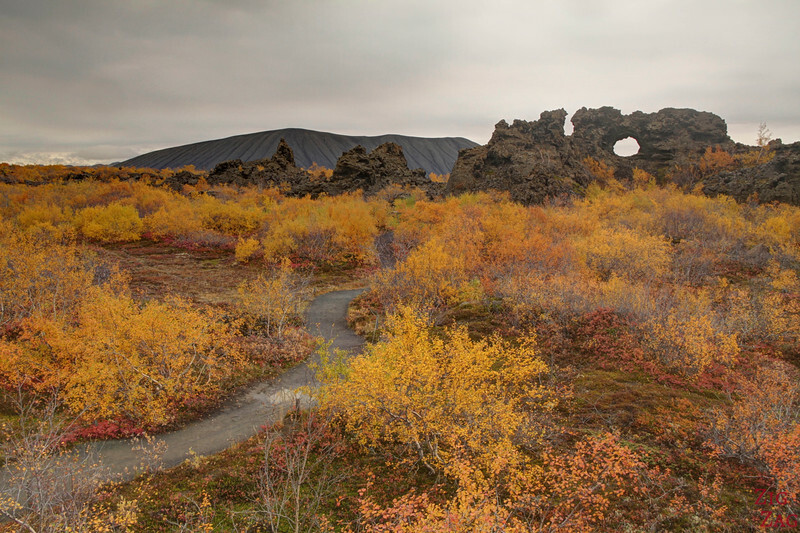 The lava formations and the surrounding vegetation will make your imagination wander: cave, pinnacles, apertures and a few imaginary faces… I recommend stopping on your way around lake Myvatn especially if you enjoy geology or photography. 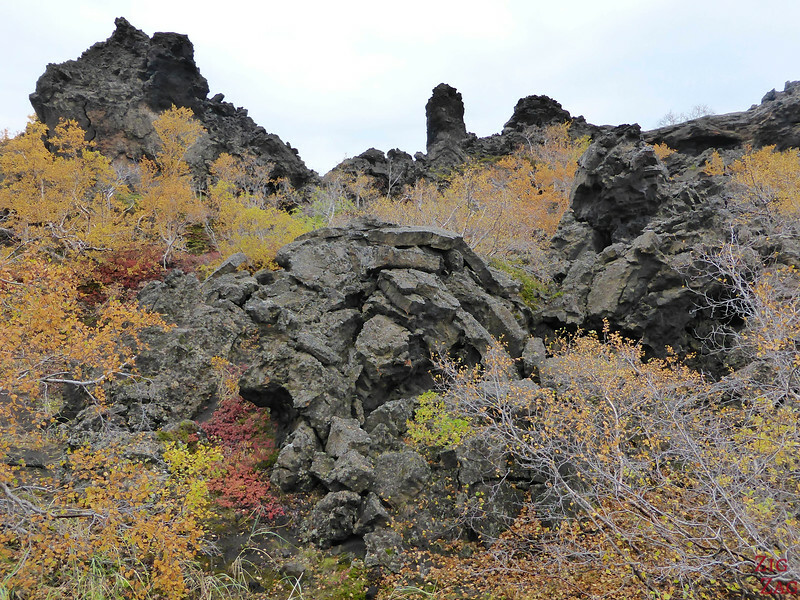 Why visit Dimmuborgir in Iceland ? 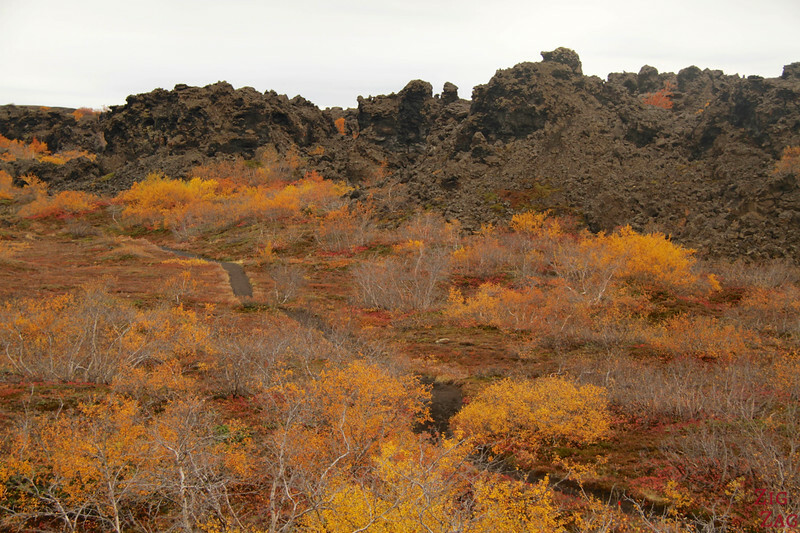 There are many lava fields in Iceland, but none of them are like Dimmuborgir located near Lake Myvatn. The formations you can admire in that field are intricate and have triggered the creation of many stories with elves, trolls and other mystical creatures. I was there in autumn (end September) and had the chance to admire them surrounded by colorful vegetation and low bushes. 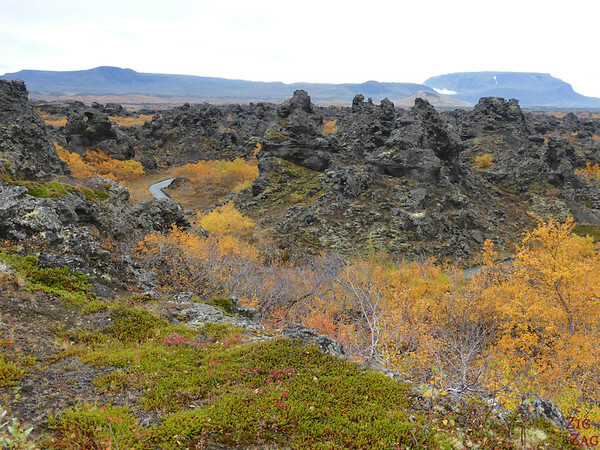 They are thought to be the remains of a lava tube which formed above a lake about 2300 years ago, trapping the water. As it began to cool, the reservoir estimated to have been 10 meters deep, was released, leaving only those shapes created by steam. These rock formations are completely unique (only known similar feature is off the coast of Mexico under water). 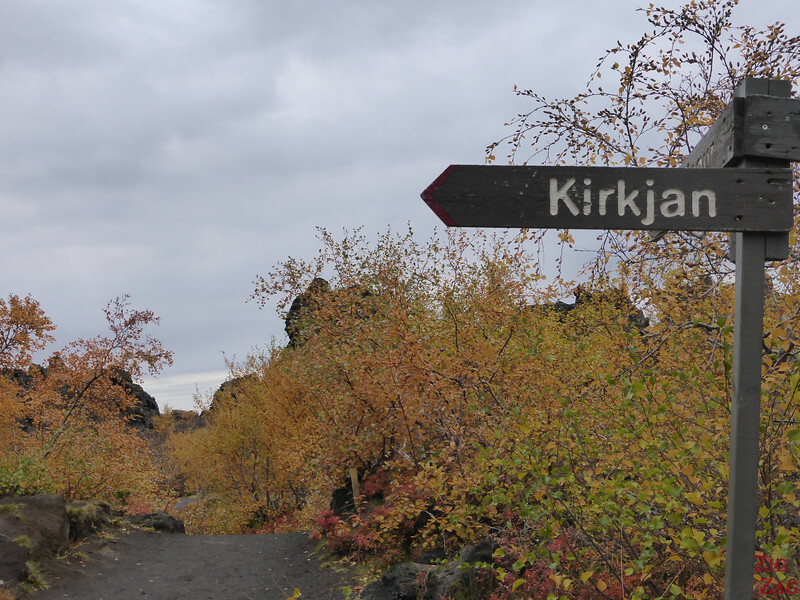 According to Icelandic folklore, Dimmuborgir is the home of a homicidal troll Grýla, her third husband and their sons The Yule Lads. They now come back in the snow to give cildren either get gifts or rotten potatoes depending on whether they´ve behaved well or not. I took the Church path and the yellow portion between both ends of the Church path. I took me 1h30 walking very slowly. Most interesting feature are close to the gate. I enjoyed the walk but some might say that it is not worth the walk jsut for the Church. It is free of charge, although donations are welcome. Do not climb them, stay on the paths! The crooked path (Krokastigur): – 2km – 1.5 to 2 hours – Indicated as difficult it goes through the middle of the field. This is a less flat trail. But all comments I saw what that it was not really difficult. Don't worry you won't get lost! The paths closers to the entrance are paved but not further. Please respect the trails! At the entrance you can have a view of the field from above and more explanation thanks to the orientation table. 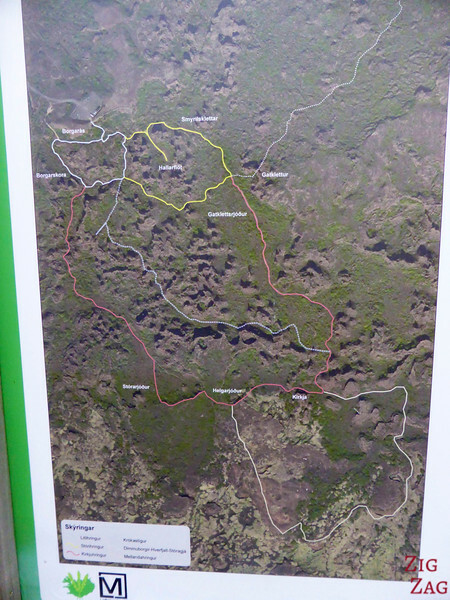 Not far from the entrance, and along a well maintained path are some impressive features with few holes. 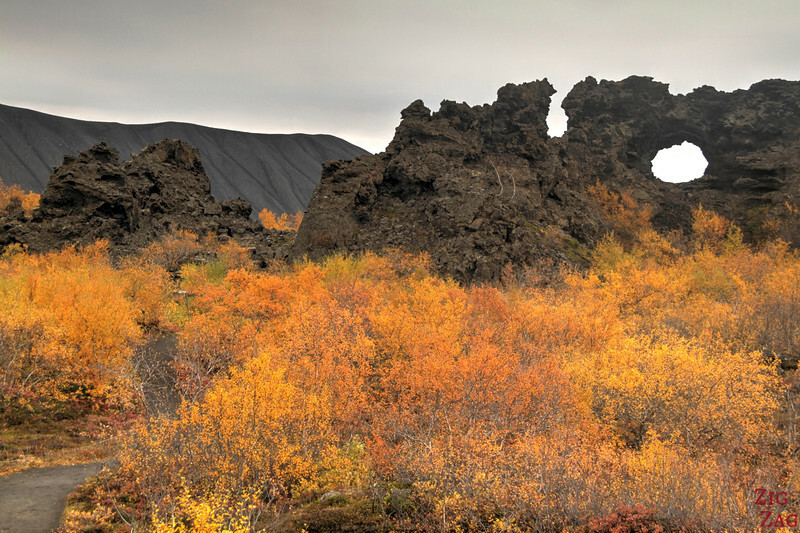 So even if you don't have the time or the capacity to hike around, you can already see some great lava formations! 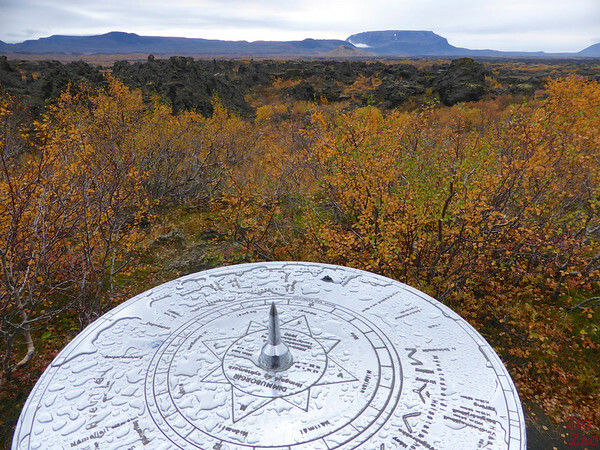 One of my favorite point of views was on the yellow path between both ends of the red path (church walk) as you get vegetation, formation and the Hverfjall volcano crater that I later climbed. The most famous of these formations is “The Church”. And as you can see on the picture below, it is clear why this name was chosen for the feature. 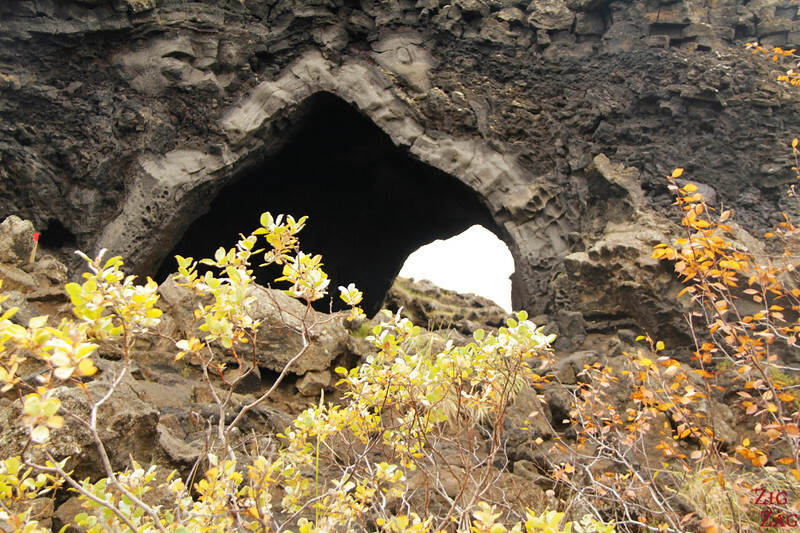 This is a cave opened at both ends has a dome-like ceiling. The Church is at the other end of the field compared to the other feature above. 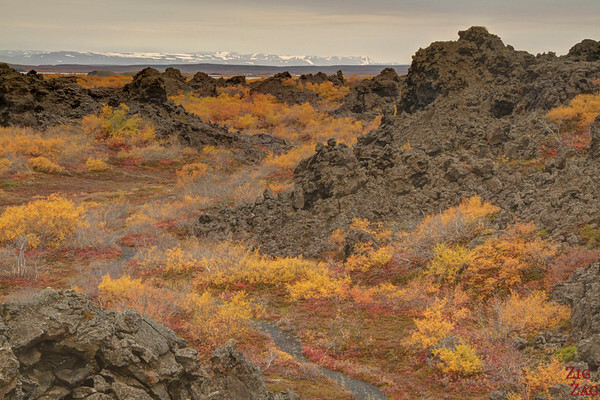 In between the path winds beteen lava. The formations are less interesting but the walk is quite relaxing. 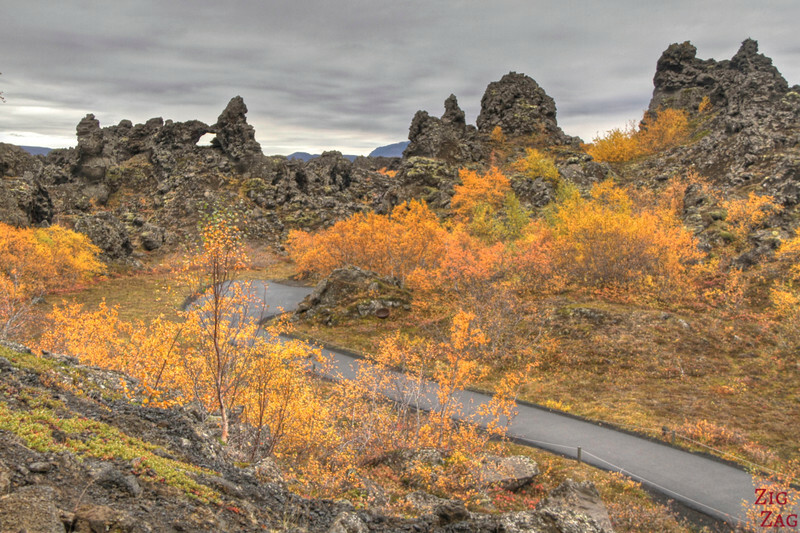 Nearby is the Dimmuborgir Guesthouse, one of my favorite places to stay in Iceland. 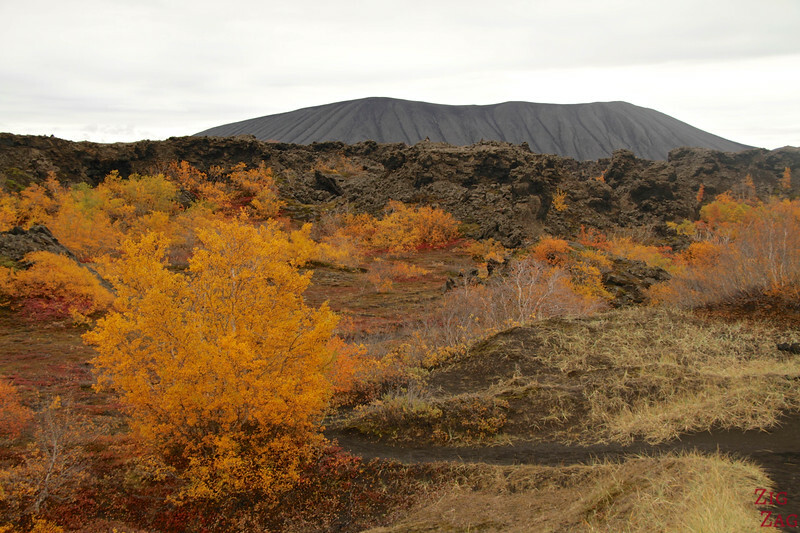 Right next to the lake and with the Hverfjall crater in the background... perfect! 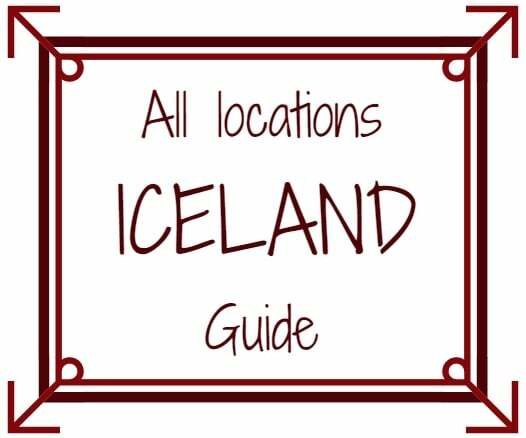 Learn more on my Iceland Accommodations article. Quite a unique location, don’t you think? 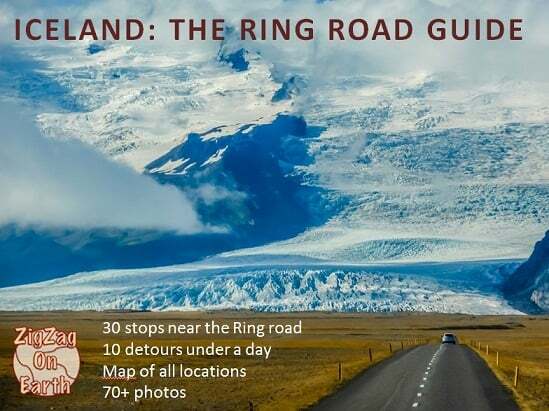 Hi Claire, I found this blog the MOST useful one for exploring the MyVatn area. Its helping with planning my visit for this area. I was planning on spending 2 days in MyVatn area. Thank you so much for putting this together with so many details and beautiful pictures.